The Bratwurst King is now serving all of Northern Virginia and beyond. 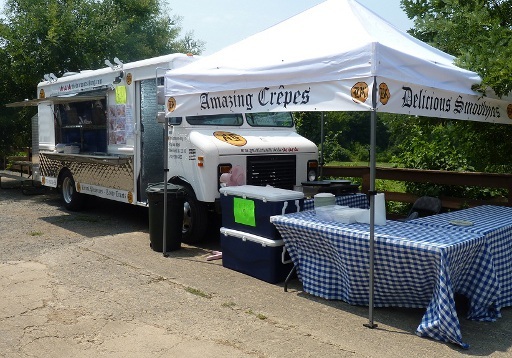 We are starting our second year and our German style sausages and other authentic European menu items have not only been enjoyed on street corners but also in various office complexes, at neighborhood parties and farmers markets, motorcycle dealerships, school festivities and many other special events. We are also available for catering and are looking forward to serving you in the near future. Look for us on facebook and twitter for our daily schedule. Photo copyright and courtesy of The Bratwurst King.